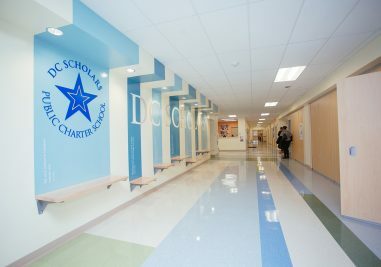 MCN Build was retained by DC Scholars PCS for the complete modernization of the previous Shadd Elementary School campus and the addition of a grand entrance to strengthen the identity of the building on East Capitol St. 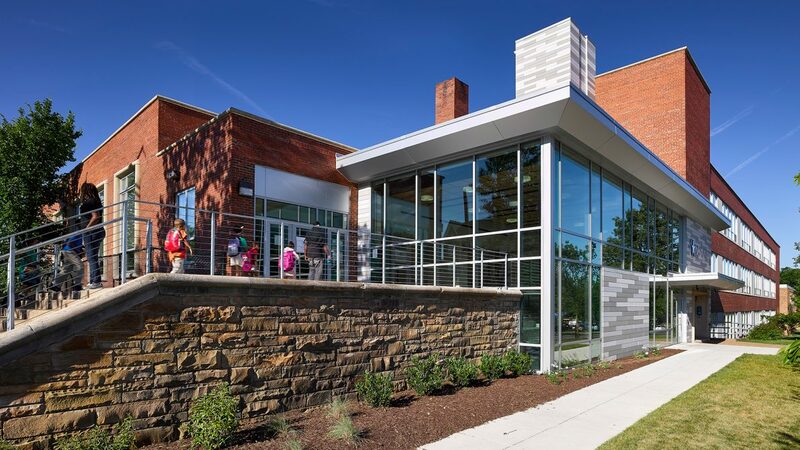 The design team masterfully utilized the new entrance addition to resolve the grade differential between the sidewalk and the educational floors by strategically locating an elevator all while giving the new entrance life through the introduction of amphitheater like stepped seating. 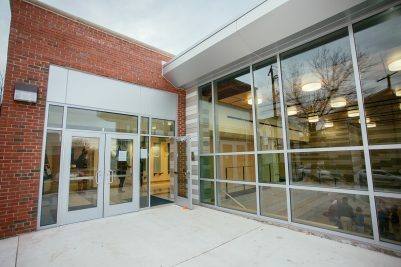 The new entrance is programmed throughout the day for different student activities. 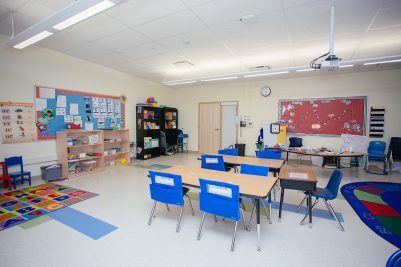 While the majority of the building is occupied by DC Scholars, the top floor of the building was designed to accommodate a satellite program for the University of the District of Columbia. 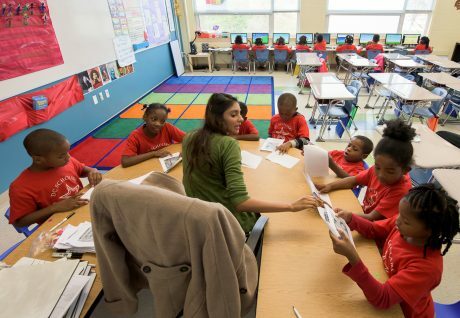 DC Scholars started a smaller program in the Shadd building in 2011 and has grown within every year. To avoid the logistics and expense of an off-site swinging plan, construction needed to be limited to the summer break with an eight week duration for the majority of the implemented scope. Through creative phasing and site logistics, the team was able to get a head start on the utilities upgrades and the new addition. 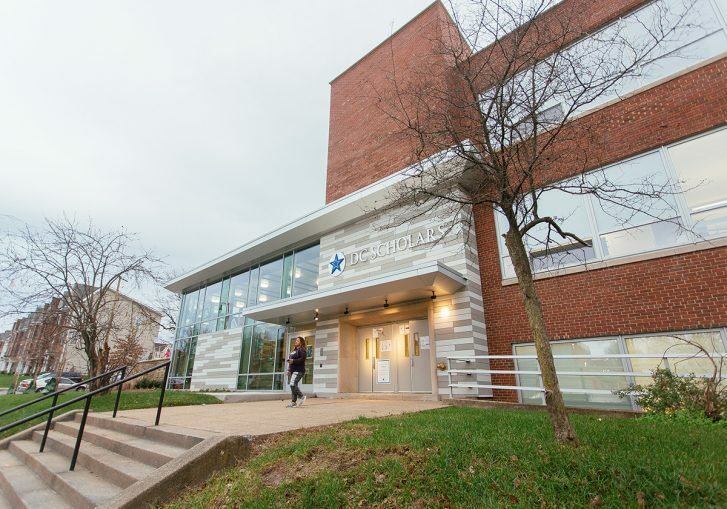 The 73,000SF of modernized space received new windows and roof, storm water management measures, new building systems, finishes, and upgraded technology. 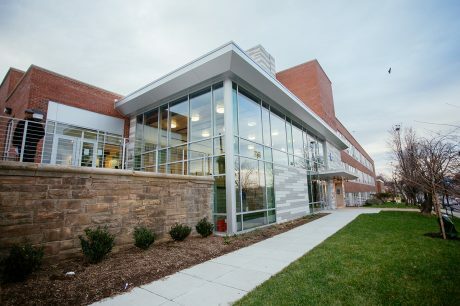 An existing gymnasium space that was previously used as a construction workshop for UDC’s trades’ programs was repurposed with the original stage to be enjoyed by the scholars.